Ron Skinner and Sons is a trusted car dealer and finance specialist with many years of experience in helping customers secure affordable car finance in Gwent. It is our goal to ensure that you drive away in the perfect car for you, and the right car finance plan can make this possible. Car finance agreements are a more manageable way to pay for a vehicle, dividing the cost into easy installments and there are a number of options available at Ron Skinner and Sons. Our finance deals can be tailored to suit your monthly budget and requirements, so that you can pay for your car in a way that is best for you. We have partnered up with a number of finance providers so that we can offer competitive rates and varied plans, helping even those with a history of bad credit, so if you are looking for car finance in Gwent, make the trip to Ron Skinner and Sons and discover our latest deals. At our branch in Tredegar, you will not only find the best car finance deals in Gwent, but also a huge selection of quality used cars for sale. 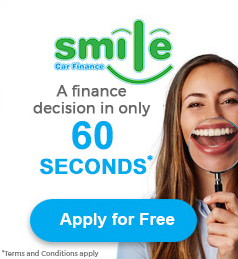 Come and pay us a visit today or alternatively, complete our online application to find out if you will be approved for finance; our partners will be able to give you a decision within one minute!